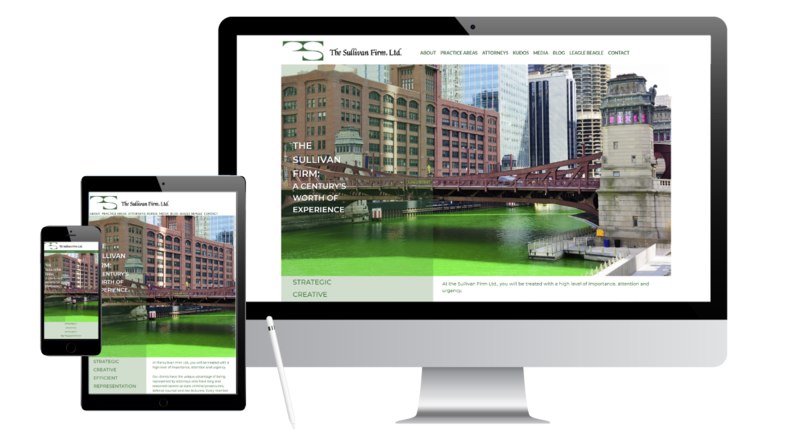 The Sullivan Firm - What A Great Website! The Sullivan Firm is a well-established boutique law firm offering aggressive representation. Their 9-year-old website was sorely dated. We gave them a fresh new look featuring dramatic Chicago-themed images. Hand-drawn courtroom sketches, provided by the client, lend visual interest while alluding to Terry Sullivan’s involvement in key trials. The site loads fast and has all the 2019 functionality they needed.